A library which has been open for 130 years is one of 22 now under threat as the local council looks to balance its books. The County Council has said up to £500,000 could be saved by the plans which may involve more mobile libraries and alternative venues. Plymouth City Council says there will be free mince pies and festive films showing to welcome anyone who would like some company. 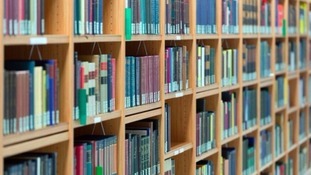 Five of Plymouth's libraries are to shut over the next few days and a sixth will close next year as part of cost-cutting measures. The latest cuts by Bristol City Council would see the number of libraries in the city cut from 27 to 10 and school crossing patrols halved. Plymouth City Council is the latest local authority in the region to put out plans for changes to library services for public consultation. Plans to move the library to a council building have infuriated local people.